Because we want to avoid the issue of price, we’ll cut right to the chase. A ratio price/quality/durability has only one clear winner and this is obviously natural stone. Ceramic tile used for wall cladding includes a minimum warranty period to even consider it for comparison, while ceramic tiles designed for flooring have a warranty of 5 to 10 years. 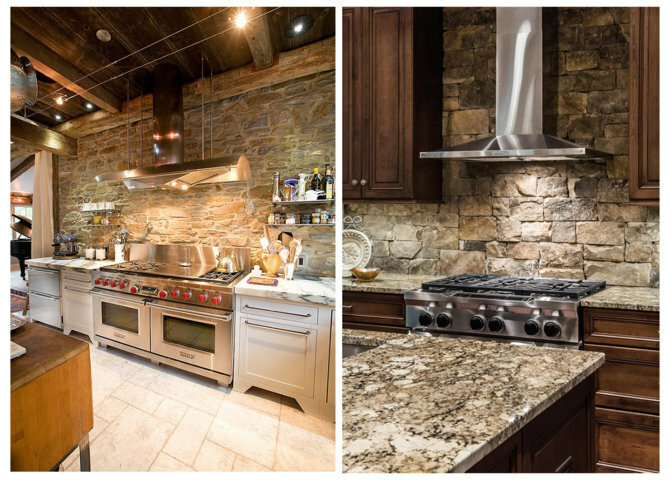 Keep in mind that natural stone durability reaches 50 years, so any comparison is useless. Therefore, consider natural stone an efficient investment in durable and beautiful products. Ceramic tiles used for kitchen are thin and more porous than natural stone. Glazed ceramic tiles does not increase durability. Subjected to erosion, glazed surface allows water penetration, which will ultimately lead to cracks, due to higher pressures. Natural stone delays considerably crack development. Natural stone has almost no cracks, because it is sealed on regular basis for increasing lifetime and preventing surface penetration by water, oil or other impurities. 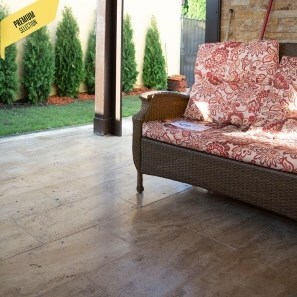 Ceramic tiles with worn or cracked glazed surfaces should be replaced. Properly sealed with professional sealing solutions (available on PIATRAONLINE.com and dedicated shops) tiles of granite, travertine, marble, onyx, slate, etc. will increase durability. An analysis of ceramic tiles will show that almost every model looks extremely dull. This happens because ceramic tiles resemble each other, being produced with the same pattern. So, a comparison between ceramic tiles monotonous color scheme and fantastic colors found of natural stone will not stand. Products such as marble, travertine, granite or slate have an unlimited range of colors: white, grey, black, brown, cream, reddish, yellowish etc. For classical-stylish mood, we have marbles such as Calacatta, Nero Marquina, Thassos, Extra Blue granite and examples can go on. If you’re looking for a “well-behaved” design we have Classic Travertine, Peach Stone Granite, Limestone Vratza or Nero Riven Slate. 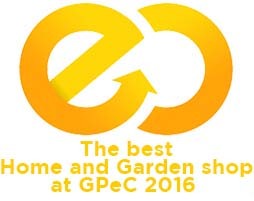 The most popular decoration styles in this category are usually rustic and Mediterranean. 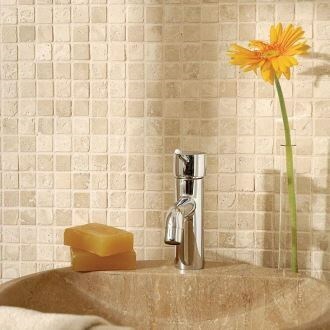 For an unconventional style, you can use Noisette Riven Slate, Red Travertine and a large range of mosaics. 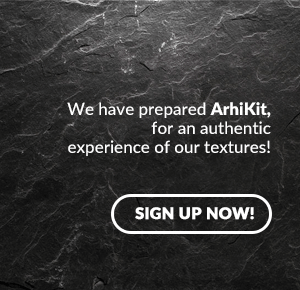 You have practically unlimited possibilities for combining all these materials. Yet, diversity of natural stone does not stop here. 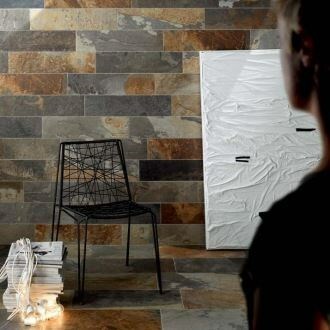 Besides color, natural stone has a great diversity of finishes and thicknesses, features unavailable for ceramic tiles. Natural stone available finishes are honed, brushed or tumbled, each and every one highlighting a different facet: sophistication, luster, vitality, grace and confidence. There are many kitchen ceramic tiles which replicate natural stone texture. But, you know from the beginning they are replicas, regardless of their rich colors. Surface of these replicas will not trick an informed customer, no matter how lustrous or honed they are. 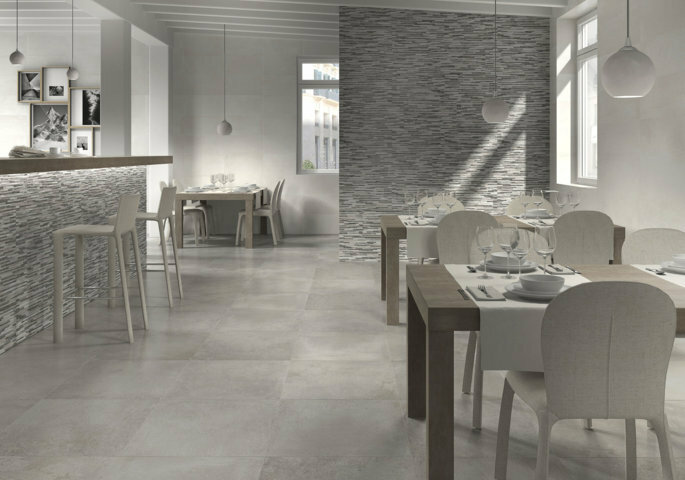 Inform persons know that, in spite of look, ceramic tiles surface is less durable, thus needing more frequent replacements and making a mess in your residence every time it happens. Regardless of your ceramic tile model, color and resemblance with travertine, it will never be able to capture diversity of travertine used in a decoration project. 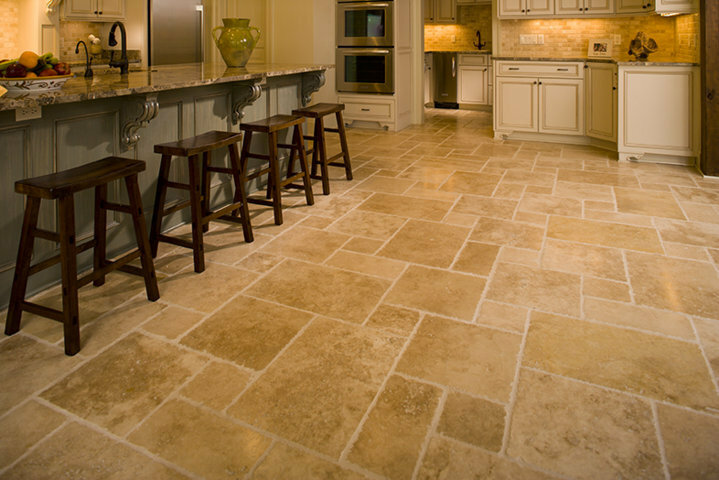 Because natural stone is created by nature, every travertine tile is unique, while ceramic tile is dull because of processes and industrial standardization. 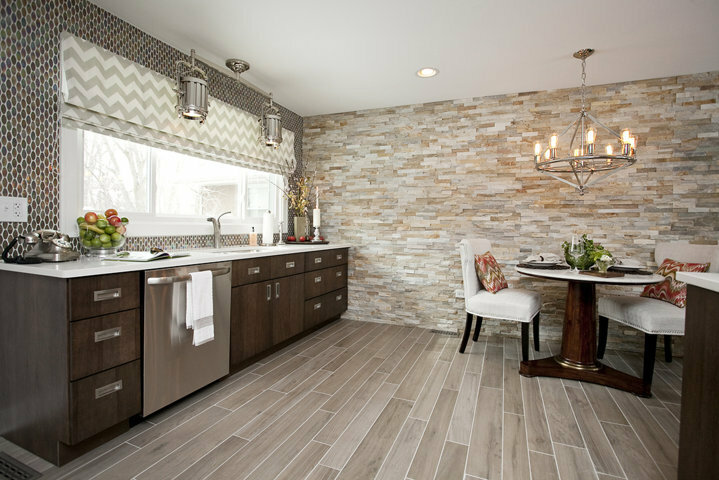 Always keep in mind that kitchen ceramic tiles, regardless of price or model, cannot capture the charm, durability, diversity and versatility of natural stone. or better visit our showroom from Aleea Teisani nr. 137A, Sector 1, Bucuresti. 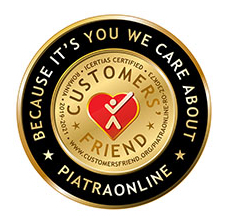 PIATRAONLINE is a stone distributor with 10 years of experience and an authentic inspiration generator for customers in love with nature and its products.